Dennis Blunt is an experienced trial litigator having developed a solid reputation for guiding clients through complex legal disputes. Dennis focuses his practice on commercial litigation, including business torts, products liability, casualty litigation, lender liability and officer and director disputes. He has represented clients across a wide spectrum of industries including public utilities, education, healthcare, insurance and financial institutions. His practice has included the representation of companies in class actions and mass torts in state and federal courts. Dennis has served as lead trial counsel in national class actions including matters involving the TCPA. In addition, he has served as lead counsel in pharmaceutical company litigation. Dennis has also served as lead counsel in several complex high profile cases, assisting clients with developing successful litigation strategies while also providing advice and counsel to clients in difficult disputes that have led to the favorable resolution of “bet the company” litigation. Dennis has also represented a number of clients and matters involving various types of state and local tax disputes in both state and local jurisdictions. Dennis has significant experience in developing creative business solutions for complex client needs. Dennis has served as general counsel to clients assisting them with developing a variety of business strategies that have fostered business growth. He is very active in the philanthropic community in Baton Rouge. He has served as Chairman of the Board of Directors of the Baton Rouge Area Foundation (BRAF), having assisted BRAF with the development of many public-private partnerships that have fostered the revitalization of Baton Rouge. He also serves on the Board of Directors of the Companion Animal Alliance (CAA), having worked to develop CAA’s current public-private partnership with the City of Baton Rouge. He currently serves as Treasurer of the Public Affairs Research Council (PAR) and as Chairman of the Board of the Capital Area Finance Authority (CAFA). 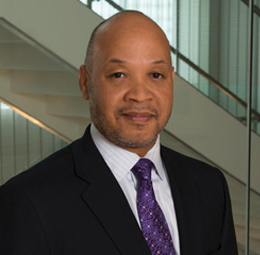 In his role as the CAFA Board Chair, Dennis has been actively engaged in the development of creative public-private financing structures that have increased available housing stock in the Baton Rouge region. Dennis has an LLM in litigation, and has served as an adjunct professor teaching trial advocacy for over 15 years. He has also lectured on litigation management, ethics and e-discovery. Representation of a health insurer in a bid protest involving a contract having an estimated value of $25 million. Representation of a Fortune 500 industrial construction company in a contract dispute. Representation of manufacturer of natural gas compressors in defense of products liability claims. Representation of building owners in an action to recover asbestos remediation costs. Representation of vessel fleet owner in defense of claims involving exposure to hazardous materials. Representation of the owner of a bus fleet in defense of a mass tort action claiming exposure to hazardous materials. Representation of an automobile dealer in a forensic investigation and complex litigation involving claims of business misconduct and fraud by the former general manager of the dealership. Representation of an insurance company liquidator in a directors and officers suit involving allegations of mismanagement and fraud. Representation of a self insurance program and a reinsurer in a complex contract dispute involving a claims administrator fraud. Representation of several large government employers in defense of wage and hour collective actions. Representation of national gaming enterprises in defense of state and local tax disputes. Representation of an energy company in litigation concerning the construction of a $1 billion power facility. Representation of school districts and other political subdivisions of the State of Louisiana in defense of alleged rights violations. Representation of insurers and reinsurers in matters involving insurance regulation and insurance company solvency.